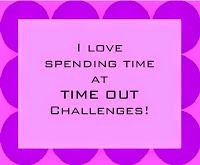 Time Out - Great News! Hi everyone! I have some news! Yes, I made the team! 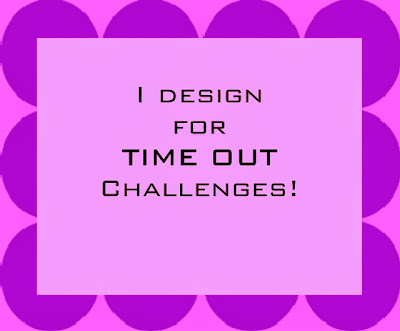 There's a new blog on the horizon and it's called Time Out. You can read about the challenges and new design team here. I came across the blog a while ago when they had a DT call. I applied (twice!) and was accepted! The challenges run every two weeks and there is a rotation of 4 different challenges. Love those kind of challenges where I can use my own supply of stamps! Our maiden challenge will be on Thursday, March 13th, so stay tuned! Hi everyone! 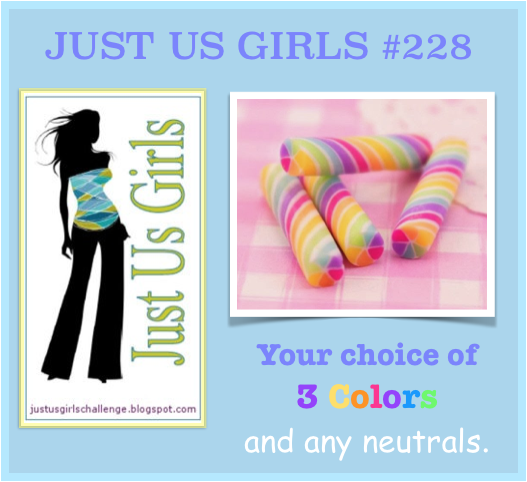 I'm the hostess this week over at Just Us Girls for the Photo Inspiration Challenge. I've chosen a photo I hope you'll get lots of inspiration from! I had so many ideas running through my, but settled on this. The spool dies are from My Favorite Things Sew Nifty set. 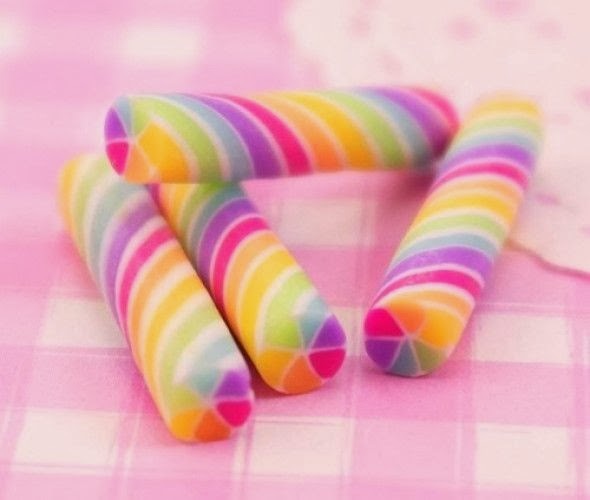 I cut them several times and glued them together to make them more substantial. The top ones were run through the wood grain impression plate. Then I covered them with some picket fence distress stain. I covered the middle of them with pattern paper that looks similar to one of the spools. 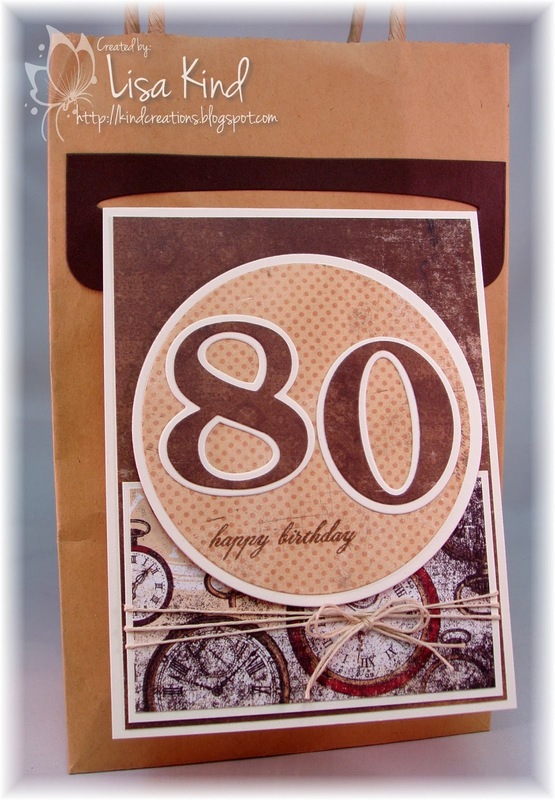 The vellum piece was run through the Swiss Dots embossing folder. 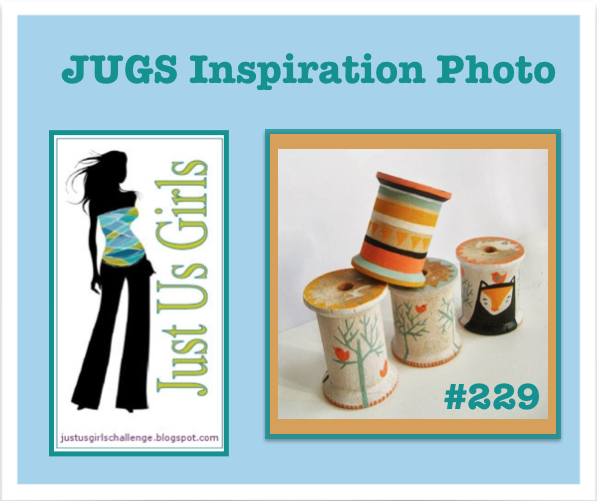 You can see more inspiration from the JUGs team at these blogs. Hi friends! I went to my LSS yesterday and purchased some more fun supplies to play with. One of the purchases was this Paper Smooches set called Hooties (love that name!) and the matching dies. 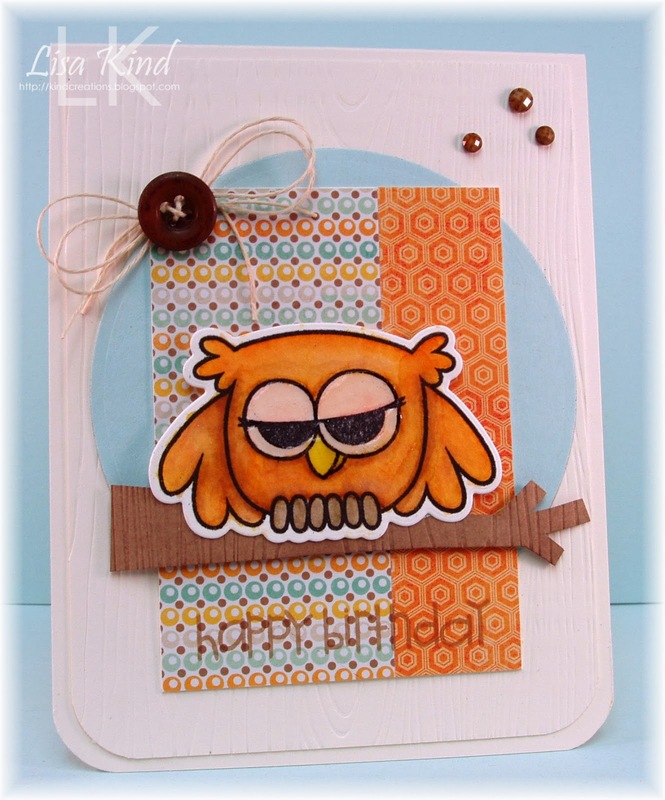 Well, I'm a messy crafter and now can not find the die for this owl! I guess it's karma because I just commented on someone's blog who said she misplaced part of a stamp she cut apart, but found it later. I'm thinking it's in my trash can. I've looked in there two times, but I think I need to do a better job in there. I'm so mad! Anyway, I cut the owl out of watercolor paper and stamped the image using Archival jet black ink. He's colored with Distress markers and a water brush. I added glossy accents to his eyes. The branch in the stamp set has a paisley pattern on it and it didn't work well with my pattern paper. So I stamped it, cut it out, and used Hero Arts latte chalk ink to color the back side of the branch. I just used the ink to paper technique to color it. Then I ran it through the wood grain impression plate. The main ivory panel was also run through the wood grain impression plate. 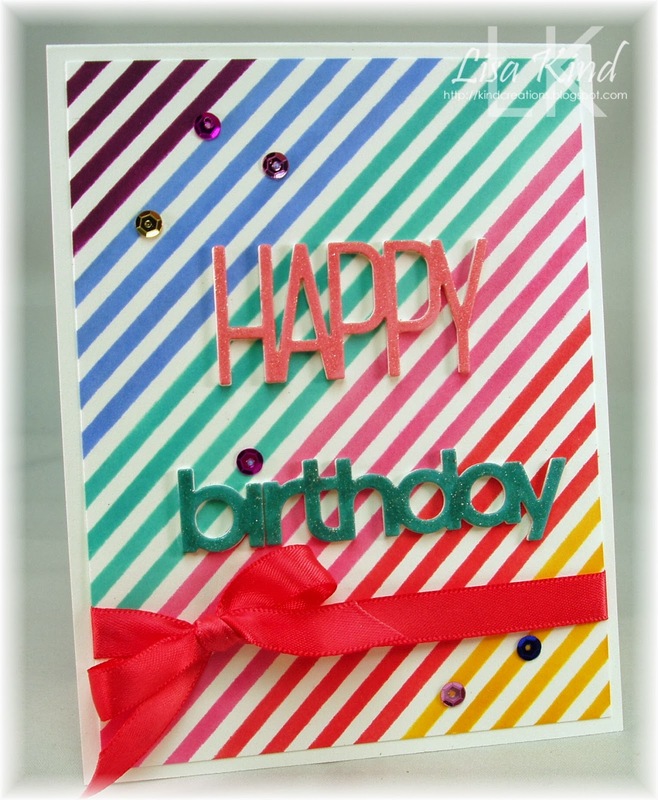 To finish it off, I added the happy birthday sentiment (can you see it on the bottom? ), button and twine, and the crystals. Hi everyone! 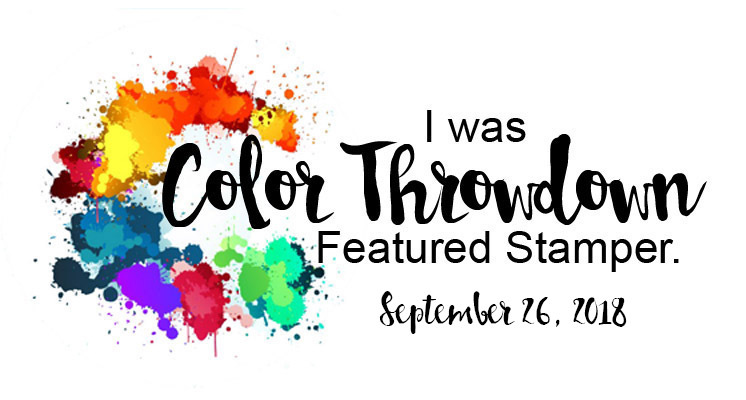 This week is color challenge week over at Just Us Girls and Sharyn found this great photo to pull the colors from. I fell in love with the stripes! 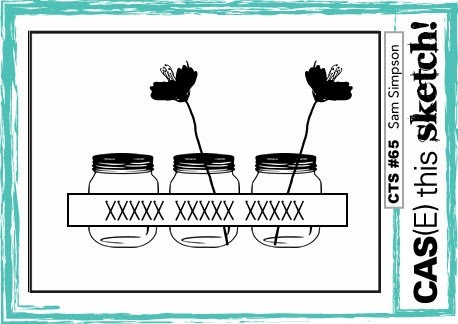 Please stop by these blogs to see what the JUGs team designed as well as our Guest Designer. Well Jennifer McGuire had my attention again the other day with this video. I just had to try this technique and CASED her cards. It's such a cool technique! You have to watch the video to see how she did this. It's too much to explain, but I used Glitter Ritz for the technique. These cards use Ocean Spray and Cool Highlights glitter and the Large Lotus Pattern stencil from Hero Arts. I built up the "thanks" die by cutting it out 6 times and then covering the top one in glitter. These cards are so pretty and shimmery in real life. That Glitter Ritz is some really cool stuff! Hi everyone! I had some stamping time last night and made a few cards. I saw the Mojo Monday sketch and knew just what I wanted to do! This came out just as I imagined it. That doesn't happen very often! I also saw a new to me challenge the other day called the Bloggers Challenge which is run by Lisa Sommerville. The challenge is to use black and white with a splash of color, so this card was created for that challenge as well. I used some new products on this card. The "love" die is new as is the heart die. It was on sale at JoAnn's so it slipped into my hands! I added some Wink of Stella shimmer to both of them. The pearl flourish was staring at me from my craft table, so I put it behind the heart. 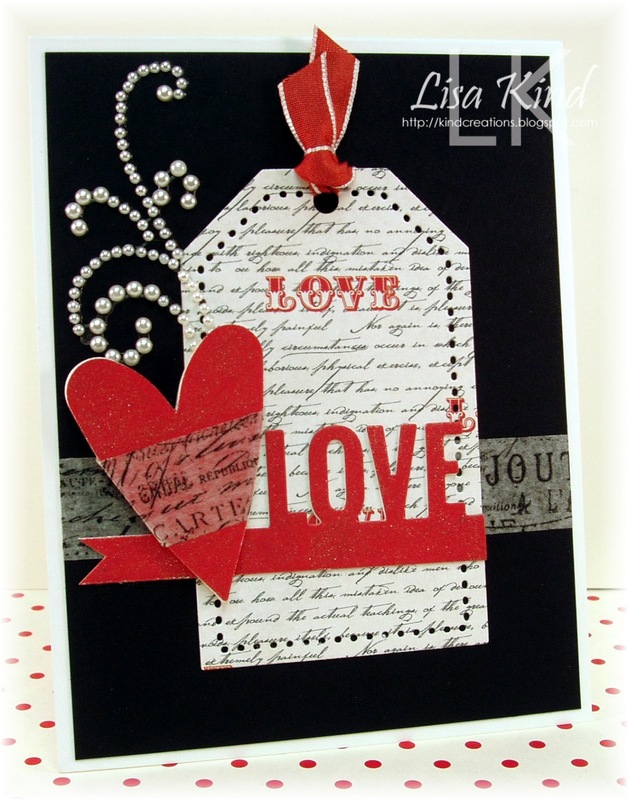 I used some Tim Holtz tissue tape around the heart and the black base. The rest is pretty self-explanatory. Here's the Mojo Monday sketch I used. I'm also entering this into the Time Out Challenge: Love and/or Friendship is the theme. They are having a DT call and while I didn't intend to make this card for that challenge (since I already entered once), it fit the challenge so I entered again! Can't hurt, right? LOL! 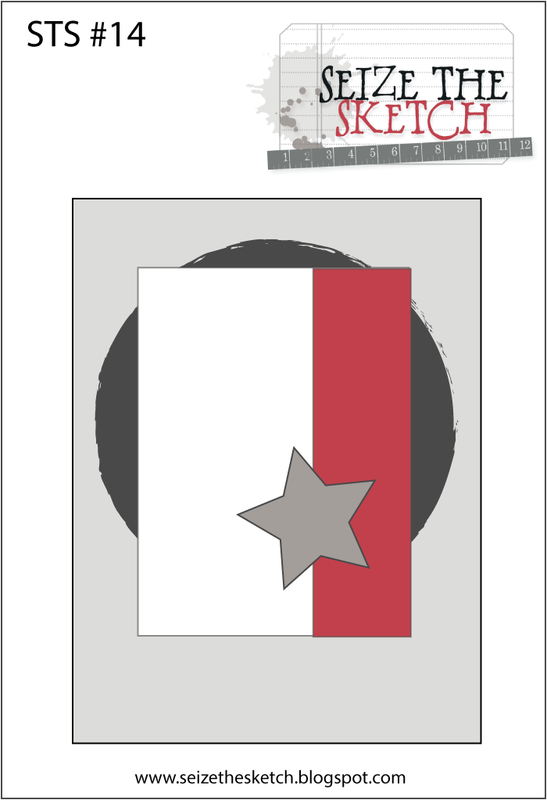 I can't remember when I've created a card based on three challenges! I usually only like to combine two at a time! Hi friends! I have a card today that is for three challenges, but I can only enter it in two of them. Paper Smooches Sparks challenge has a great photo inspiration challenge that I based my card on, but I didn't use any of their stamps, so I can't enter it. However, I am entering it in two others. Here's how I created my heart. I cut 3/4" squares from two different pattern papers and some foil paper, then cut them in half on the diagonal. 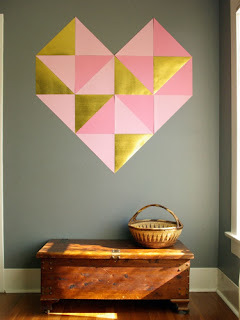 I traced the heart die on some scrap paper and began adhering the triangles to it. 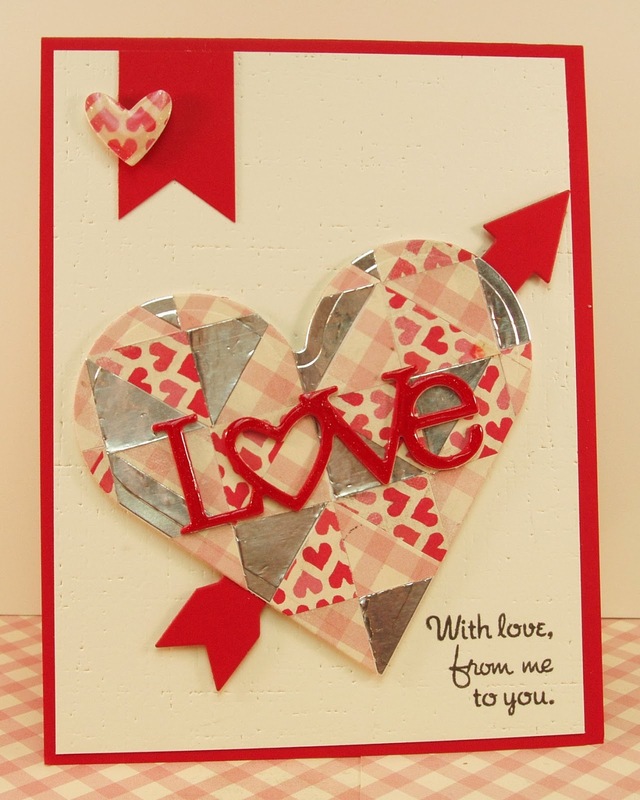 When I had the traced heart covered, I ran it through my die cutting machine. The arrow was cut from a die from PTI's Get to the Point die and the word is PTI's as well. I covered it with a Wink of Stella shimmer brush and glossy accents. The little heart above is a left over piece from the word die. It's also cover in Wink of Stella shimmer and glossy accents. The ivory base was run through a linen impression plate for some texture. The sentiment I think is appropriate for today. It's a line from a Beatles song and today is the 50th anniversary of their performance on the Ed Sullivan Show. My hubby loves the Beatles, so this may be his Valentine card. 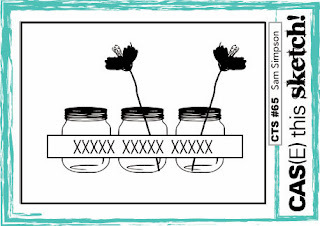 Here's the inspiration photo from Paper Smooches Sparks. Wish I could have entered! 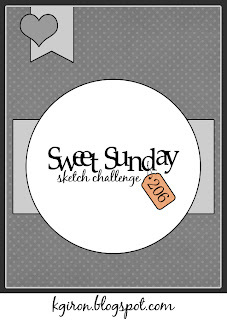 I used this fab sketch from Sweet Sunday Sketch Challenge. 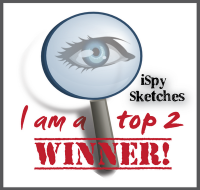 I'm also entering this in the Time Out DT call. It's a new challenge that is similar to Just Us Girls with a different challenge each week. I love those kinds of challenges. Their theme is Love and/or Friendship. Perfect for this time of the year, don't you think? Fingers crossed I make their team! Can you believe it's already February? Where has January gone? It's been a wild month with all the crazy cold weather we've had! We are starting to warm up this weekend, but I don't know what next week will bring! Hopefully no more school closings! 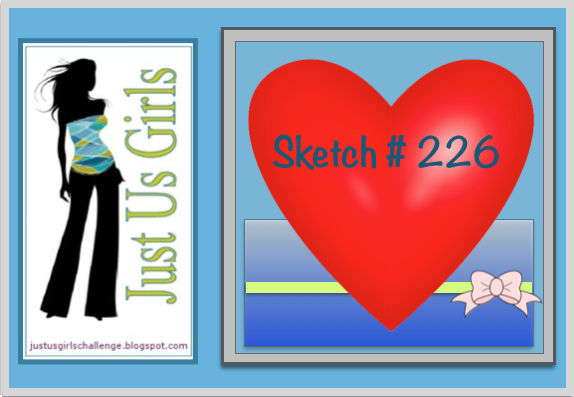 Since it's the first Saturday of the month, Just Us Girls has a sketch challenge going on. Maria came up with this really great one! 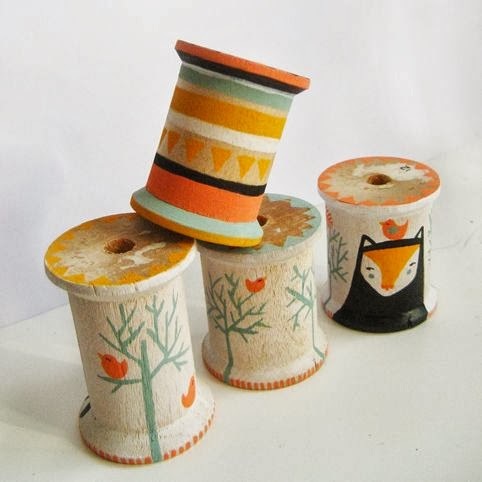 You can see more of what the JUGs design team did on these blogs, and welcome our new guest for February Melissa Hubert.